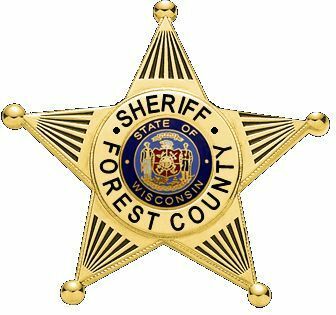 Forest County Sheriff’s Department is now accepting applications for two Full Time Deputy Sheriff positions and to establish an eligibility list for future positions. Individuals will be required to work day and/or night shifts, weekends, and holidays as shift rotations dictate. Salary and Benefits:The hourly starting rate of pay for this position is $22.03 per hour, with wage increases to $24.37 per hour after two years of service, based on 2018 wages. Qualifications: Must be 21 years of age; US citizen; high school graduate or equivalent; have valid Wisconsin driver’s license; have earned 60 college credits or an Associates Degree or a Bachelors Degree from an accredited institution in a related field, or is able to obtain 60 college credits within the first five years of employment, and is eligible to be certified per State of Wisconsin standards; have successfully completed Wisconsin certified recruit training or will complete recruit training prior to appointment, or presently be certified as a law enforcement officer by the State of Wisconsin; ability to use all police equipment, and have the ability to physically perform all police tasks. Apply: Submit Wisconsin Law Enforcement Standards Board form DJ-LE-330 (forms available at the Forest County Sheriff's Office or on www.wilenet org), by Monday, October 8th, 2018 at 4:00 p.m. Forms are available at the Forest County Sheriff’s Department or online at www.wilenet.org. All questions on the application MUST be completed, including Section 6 - Questions A, B & C and your social security number. Applications that are not accurately completed will be rejected. NOTE: Successful applicants will be required to submit to oral interviews, an extensive background investigation, a physical fitness test, and a medical and drug examination.